The late spring and early summer months are a party time in Portugal! I wasn’t able to be in Portugal for this period last year, so 2016 was to be my first time. For the festival of São João, the whole city (probably country!) 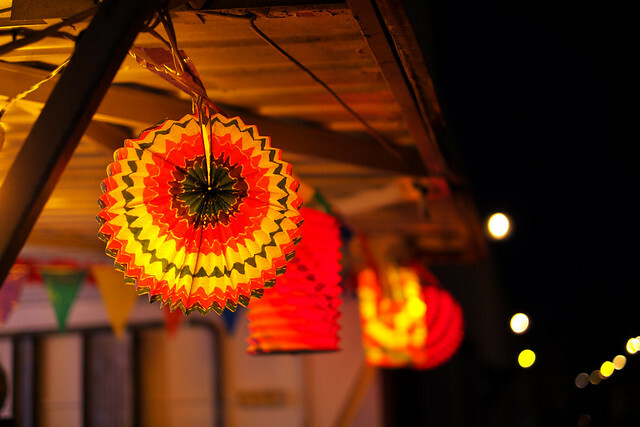 starts preparing for neighbourhood wide street parties! So let’s go take a look exactly what goes on!! The area where we live has many garages next to the properties. 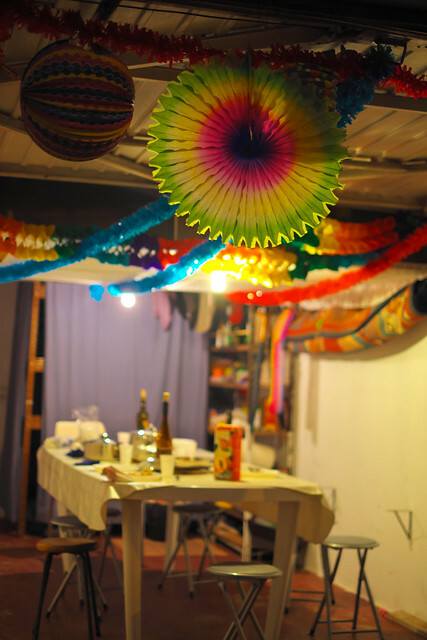 These are opened up, brightly decorated and Sardines are barbequed outside. The garages don’t just look inviting, they’re filled with inviting looking people, who actually do invite you in for some fish, some bread, and a glass of wine. I’ve never felt unwelcome in Portugal, but I don’t think I’ve ever felt more welcome than this! It seems the whole of Porto is being smiled at by this design! 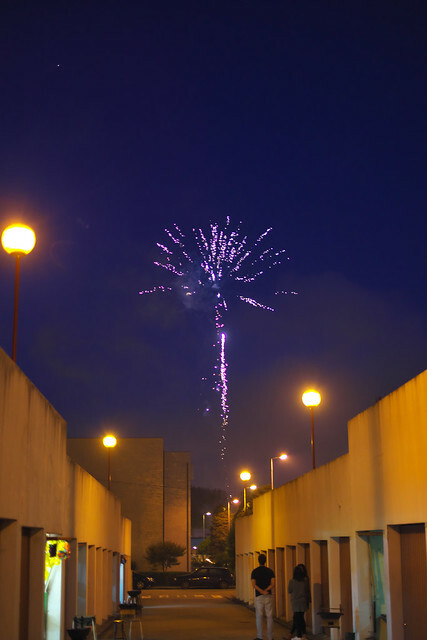 There is a huge firework display in the centre of town, but many of the residential areas hold their own firework displays, which can be viewed by all the surrounding neighbourhoods! The entire night rang out to the bang and whiz of fireworks, this continued until the small hours! 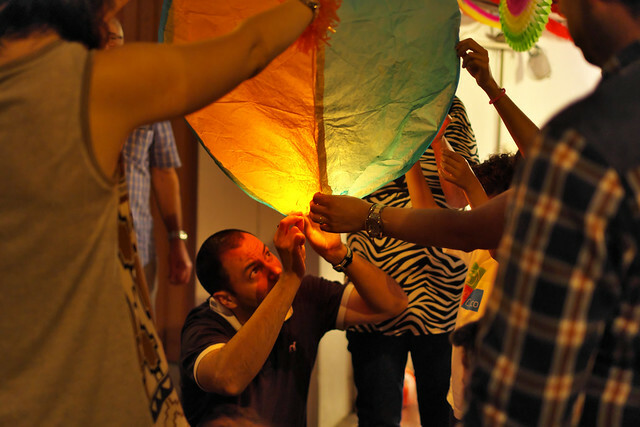 Fire lanterns are plentiful, with a friends and strangers joining forces to coax these colourful fireballs into the air! It can take several attempts to get these things airborne! 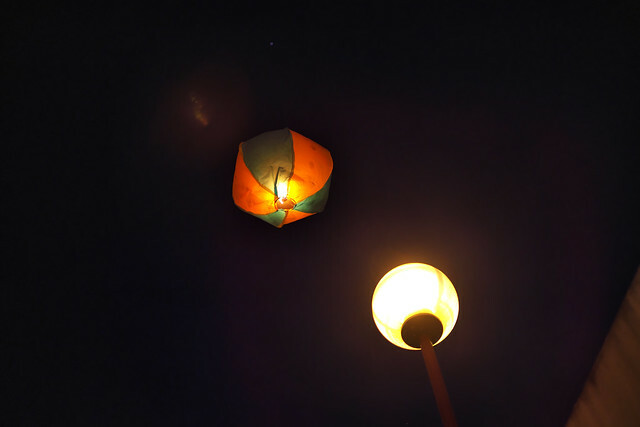 Once lift is achieved the fire lanterns float dreamily into the night sky! 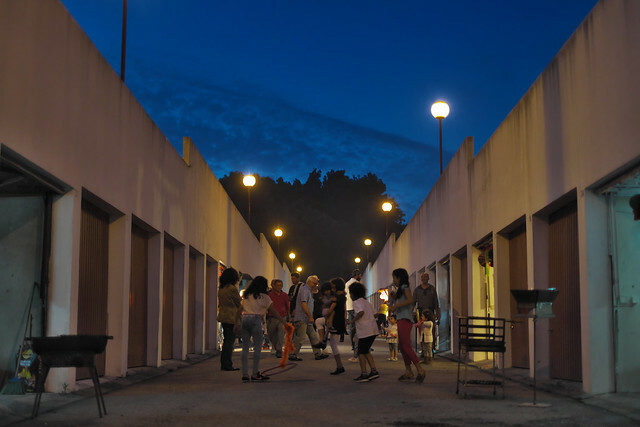 With everyone fed, and watered – fireworks set off and fire lanterns in the sky, the garages descend into party, with people playing music, dancing and the children running amok. Hi…what are the dates for this?.I am in Lisbon for the first time with my wife from 21st-25th July…i am,off course,bringing my X Pro1..